How to Define new Custom Advanced Functions? To Delete or Edit a custom function you need to clear the input first via the C/AC button, followed by selecting your function from the Custom list... then when you tap the answer area to get to the Custom Advanced Function menu, you will see options to Edit or Delete the specified function. How to Customize CALC's colors, look and feel? 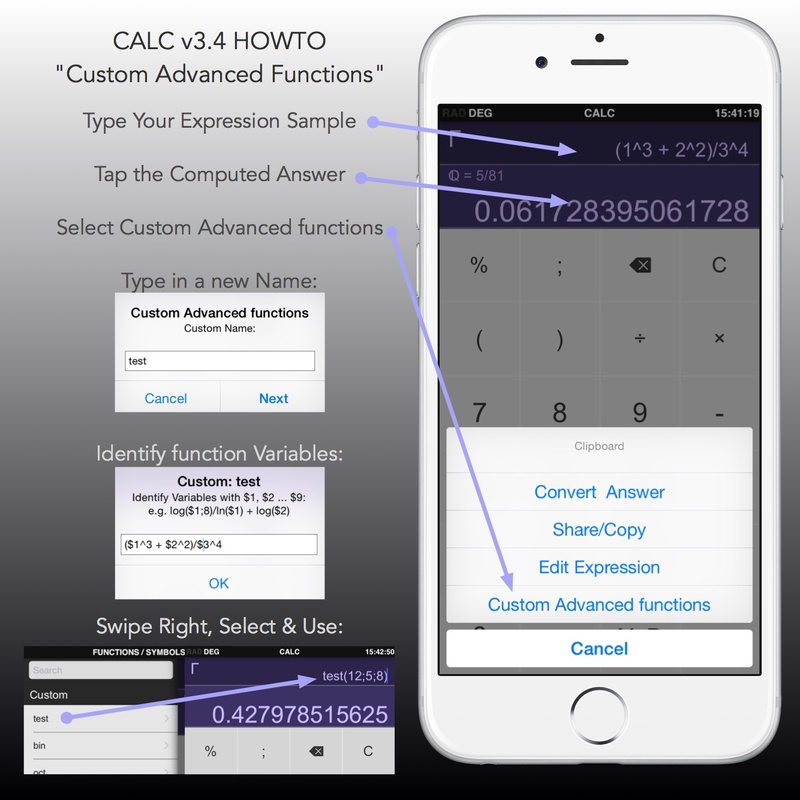 How to Install CALC's Custom Keyboard? FAQ: How to Add CALC's Widget to the Notification Center? FAQ: How to convert a decimal to a fraction? How to graph a function? How to access the Tip Calculator / Estimator? FAQ: How do I do 1/x? FAQ: How to Tape Roll? FAQ: How to set a Timer? FAQ: How to set the wallpaper / background image?